What started out as a specialty toy has quickly grown into a favorite tool with trainers and facilitators. 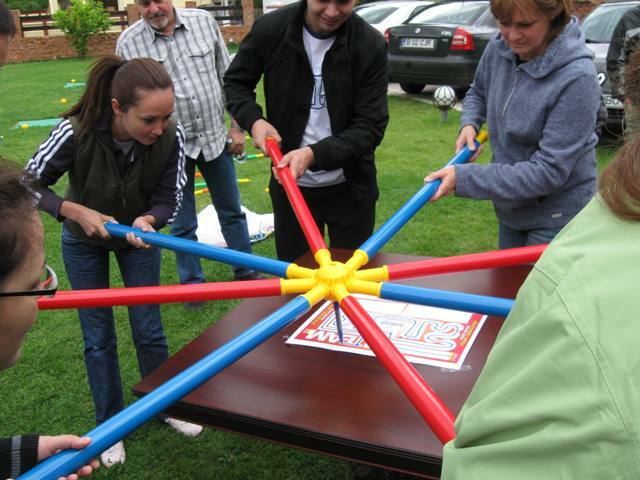 When you combine the toy with the specially designed activities, it helps to break down intradepartmental barriers, and create a more cohesive group culture. You can use them as an ice breaker or design an entire event around them. All Activities Were Designed with: Brain based research, multiple intelligence theories, differentiated instructions, problem solving, character education focused, teambuilding and “connecting” with others. Toobeez activities were designed to solve communication and cooperation problems. The ultimate giant construction building set, comprised of interlocking tubes and spheres, is being used to bridge the interpersonal gap that often exists between levels of leadership within an organization. The tubes can be linked together to create anything imaginable, from a simple cube to a complex structure.